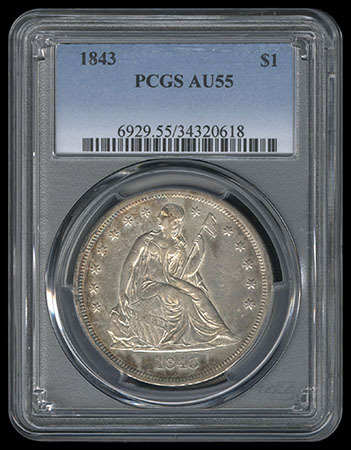 1843 Liberty Seated Dollar. 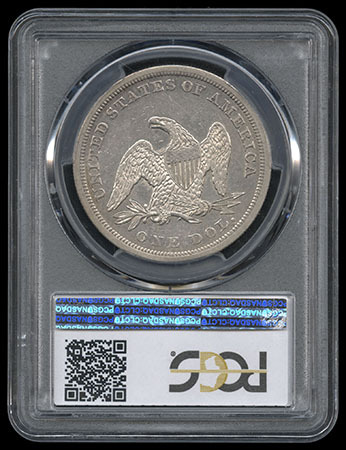 PCGS graded AU-55. 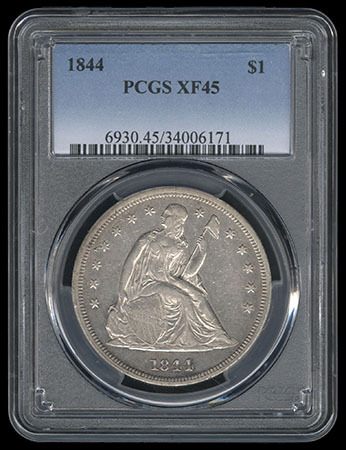 1844 Liberty Seated Dollar. 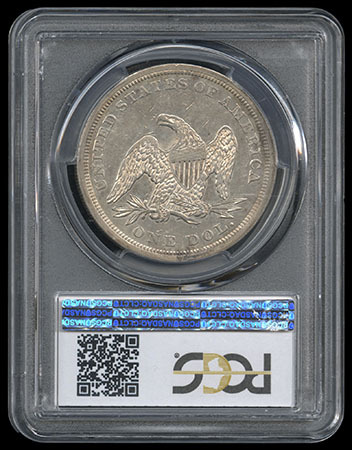 PCGS graded EF-45. 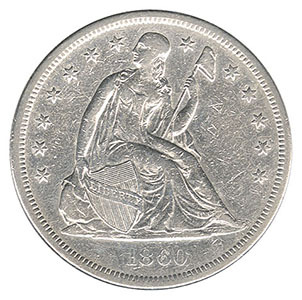 1860-O Liberty Seated Dollar. 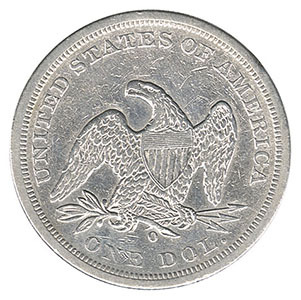 Details of Very Fine. 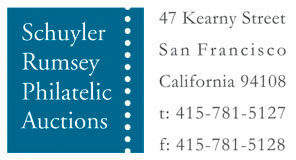 Harshly cleaned.